SBEF is happy to offer a summer of innovative camps for our Junior High Students. These camps are open to incoming 7th and 8th graders. The cost is $300 per student and $50 for scholarship students. To be eligible for a scholarship, the student must receive free or reduced lunch. If you are eligible for a scholarship, please download and print the registration form Summer STEAM Camps Registration Form and bring or mail to our office with payment and a copy of your free/reduced lunch letter. For full tuition students, please register online. If you have any questions, please contact Katie Szopa, Programs Associate at 805-284-9125. Wanna build a robot? You can! 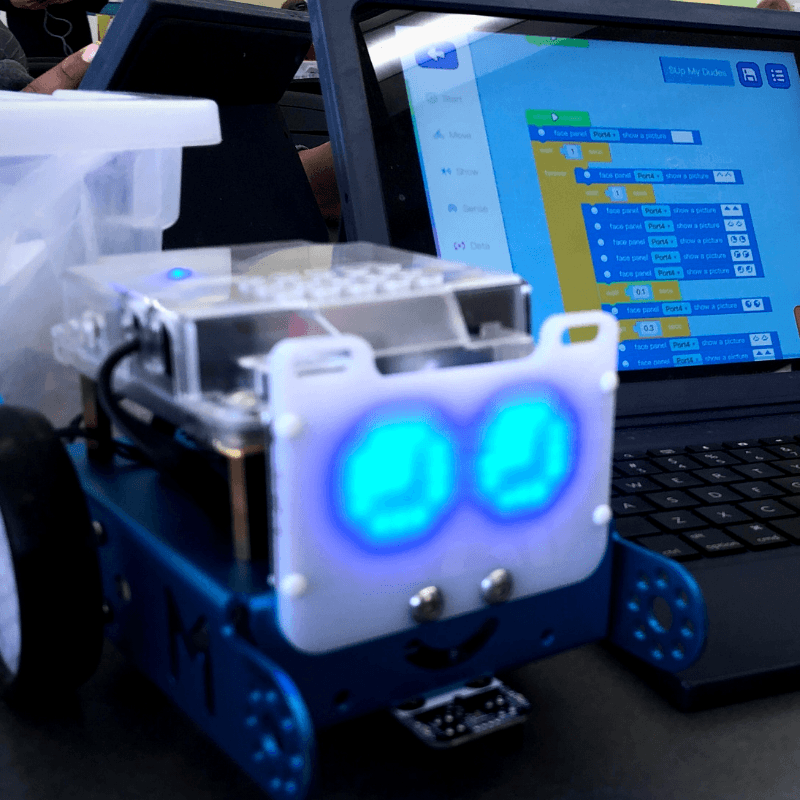 This class allows students to build and program the mBot by Makeblock. Students will learn basic coding structures like loops, functions, and iterations while engaged with their own robot. Then, experience the next level of robotics with the Airblock drone. Whilst they play, students will learn block-based programming, the principles of aerodynamics, exercise logic and use their critical thinking skills. This class is designed for beginners, students who want to try robotics, but have no coding or robotics experience. Ready for a challenge? In this class, students will be building and coding VEX EDR robots. This course expands on topics introduced in the previous course though there is no prerequisite knowledge required. Once students build their robots, they will code them with VEX Coding Studio, beginning with block programming and as their comfort level grows transitioning into text programming with VEX C++. Student build teams will challenge each other to complete tasks with their robots. Learn to code using professional* game engines Unity and Unreal. Participants will learn the principles of game design, workflow, and levels. Object control, game physics, camera use, and 360-degree photos will be taught. Game creation fundamentals will be taught along with C# coding, character control and more. Participants will work in teams and individually to design multi-level games. Problem solving, art creation, 3D modeling and more! Participants will need to create their own Unity and Unreal accounts. Every student will need their own laptop, so please indicate on the application if you have one you could use.